Healthcare continues to evolve every day. No, seriously, there’s new evidence that comes out for EVERYTHING every day. That is one of the reasons it is super important to stay up to date with these gold standards - as health professionals, but also as patients so we know what kind of care and what practices are best for us and for our family members… and in this case, our babies. A relatively new recommendation that became a standard of practice when it comes to labor and delivery, is delayed cord clamping. Yes, it is exactly what it sounds like… delaying the clamping of the umbilical cord. Have you ever donated blood and sick afterward? I assume that is how babies feel after delivery, especially since the amount of blood they have after birth compared to the amount in utero depends on how long clamping was delayed. With every second that passes after the baby is born, more blood from the placenta can pass back to the baby. While holding the baby below the placenta will help this exchange faster, holding your baby on your chest or abdomen will have a slower, yet just as beneficial effect. In 2016, the American College of Obstetrics and Gynecology released recommendations to delay cord clamping for at least 30-60 seconds because it has shown to be beneficial especially preterm infants, but also for term babies as well. Increasing the baby’s hemoglobin volume. Hemoglobin is the protein in red blood cells that circulate oxygen and iron throughout our bodies. An increased hemoglobin level will increase the baby’s iron stores for the first several months of life. This increase in iron can truly help the development of the baby in the months after birth. For preterm babies, delayed cord clamping improves transitional circulation (when the responsibility of blood circulation changes from the placenta and umbilical cord to the baby’s heart, lungs, and blood vessels), and increases red blood cell volume. In premature babies this is SO IMPORTANT because it reduces the need for blood transfusions and decreases the chances of premature brain bleeds (which a premie is at high risk for). 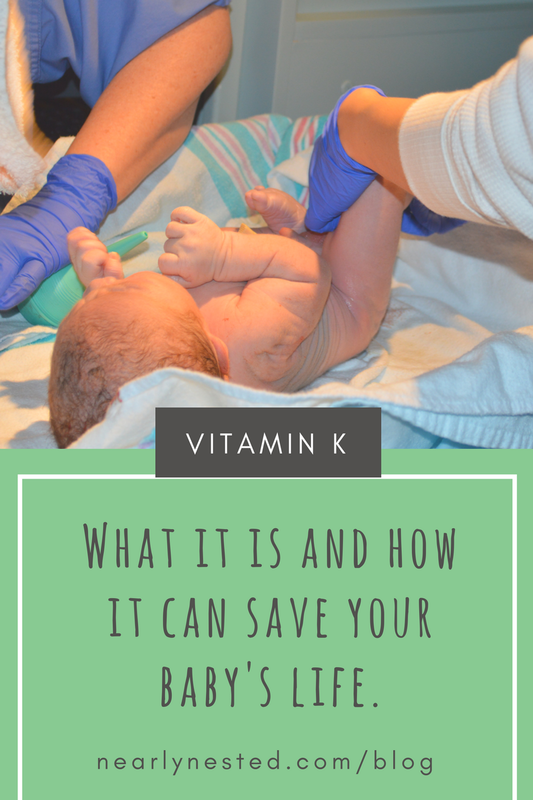 It reduces the risk of a very serious condition for premature babies, called necrotizing enterocolitis…which is actually a “medical emergency”. The only known risk with delayed cord clamping is the increased risk for jaundice, which makes sense since the breaking down of red blood cells is what causes jaundice anyway. Delaying cord clamping for as little as 30 seconds or up until the cord stops pulsing (usually 3-5 minutes) with your baby in your arms can truly benefit your baby. Talk to your care provider about your wish for delayed cord clamping BEFORE you deliver to make sure you are on the same page. You’ve got this!